Preparation: Stir with ice in a shaker and strain into a chilled coupe. Garnish with a grapefruit twist. 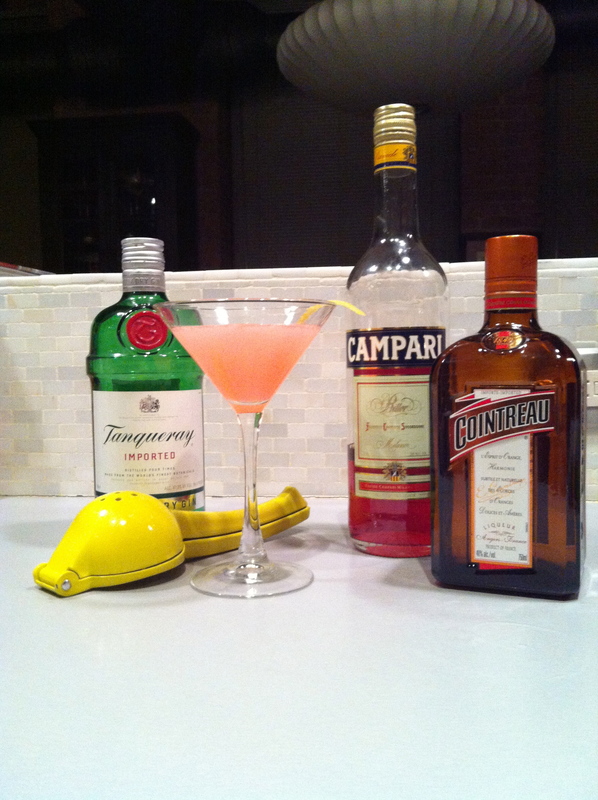 This is a recipe from Esquire magazine and is attributed to Jamie Boudreau of Canon in Seattle. It is one of three Negroni-inspired cocktails that make up three-pronged flight available at the bar for lovers of the classic bitter Italian cocktail. The other 2 are Sangria’s Aromatic Cousin and Italy by Way of Mexico. Preparation: Combine ingredients in a mixing glass. Shake and strain into a chilled coupe. Garnish with a flamed orange peel. I cam across this cocktail on the website Kindred Cocktails. It is attributed to Scott Diaz of Seattle. Preparation: Combine ingredients in a mixing glass. Shake in an ice-filled cocktail shaker for 10 seconds. Strain into a cocktail glass. Garnish with a lemon twist. This is a classic cocktail from the Pre-Prohibition era. This particular recipe is from the book Speakeasy Jason Kosmas and Dushan Zaric of Employees Only in New York City. Preparation: Put cucumber slices and salt in a mixing glass and muddle. Add a sprig of mint, lime juice, simple syrup and shake in an ice-filled cocktail shaker. Strain into a cocktail glass. Garnish with a mint leaf and the drops of bitters and rose water. This is a recipe from Toby Maloney of The Violet Hour in Chicago. Preparation: Combine ingredients in a mixing glass. Shake in an ice-filled cocktail shaker for 10 seconds. Strain into a cocktail glass. Garnish with a twist of lemon. This is a recipe I came across in Imbibe Magazine and is attributed to Paul Harrington of Townhouse Bar & Grill in Emeryville, California.